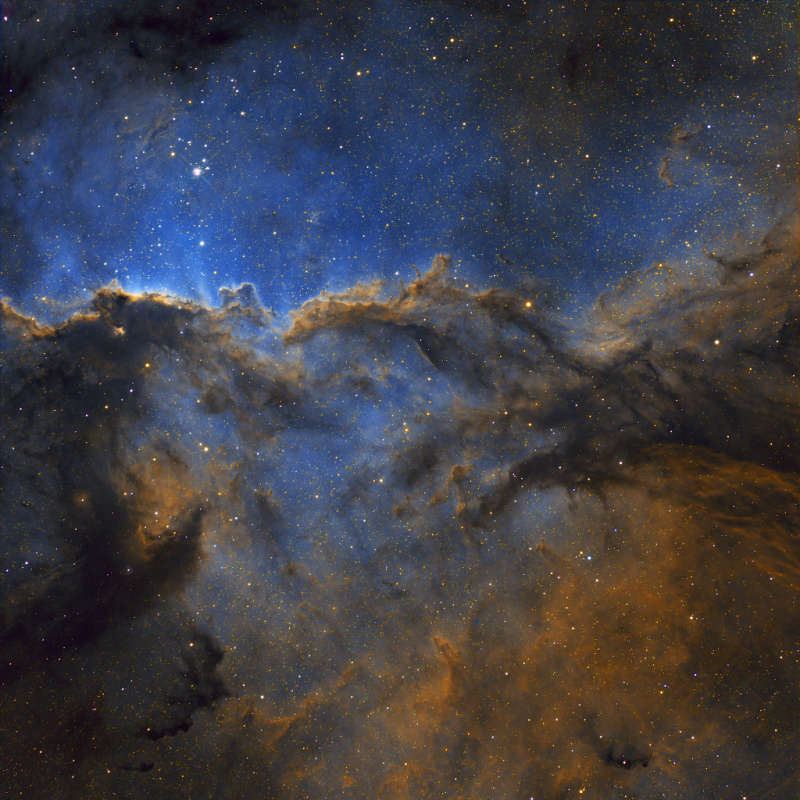 Explanation: Dark shapes with bright edges winging their way through dusty NGC 6188 are tens of light-years long. The emission nebula is found near the edge of an otherwise dark large molecular cloud in the southern constellation Ara, about 4,000 light-years away. Born in that region only a few million years ago, the massive young stars of the embedded Ara OB1 association sculpt the fantastic shapes and power the nebular glow with stellar winds and intense ultraviolet radiation. The recent star formation itself was likely triggered by winds and supernova explosions, from previous generations of massive stars, that swept up and compressed the molecular gas. With image data from the Chilescope Observatory, a false-color Hubble palette was used to create this gorgeous wide-field image and shows emission from sulfur, hydrogen, and oxygen atoms in red, green, and blue hues. The field of view spans about four full Moons, corresponding to about 150 light years at the estimated distance of NGC 6188.